HR leaders have always been challenged to manage dual responsibility for operational and strategic HR functions. 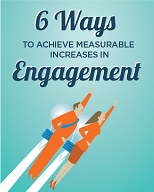 Meeting the day-to-day needs of the organization in areas such as recruitment, comp and benefits administration and risk management must be integrated with initiatives for improving engagement, productivity and retention. In times of high employement and economic expansion, balancing responsibility for operational and strategic functions takes on elevated importance, as attracting, motivating and retaining talent becomes the critical enabler for growth. Increasingly, industry leaders are viewing the outcome of effective integration between operational and strategic HR initiatives through the talent-focused lens of “employee experience.” By treating employees as customers, innovative HR departments are helping to create a more engaged workforce that drives differentiation and competitive advantage. 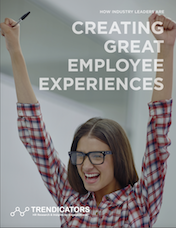 What are industry leaders doing to improve employee experiences? In our latest report, Creating Great Employee Experiences, we explore what five companies from different industry sectors are doing to improve employee experiences throughout the talent lifecycle–from pre-hire to retirement. Looking for ideas that work? The good news for HR leaders is that–relative to other enterprise HR programs–none of the initiatives featured in this report are expensive or difficult to implement, and all lead to near-term business results. Special thanks to Clean Energy, Par Pacific, Carolinas Healthcare System, Sally Beauty Holdings and UPS for their commitment to improving employee experiences and for their contributions to this report.